The Purifying Bio Enzymes Mask has a three dimensional structure that aims at retaining a high concentration of active ingredients which are spread evenly over the skin. 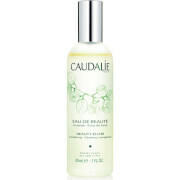 The combination of cinnamon, Argan oil and alpine herbs has a cleaning effect on oily blemished skins. 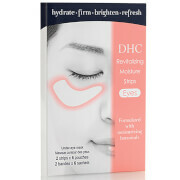 After use, pores appear tightened, redness is reduced and the skin tone looks clearer. 4. 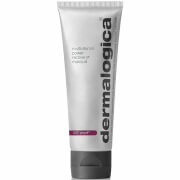 Peel the mask off the skin, gently massage the remaining serum onto the skin using clean fingers. Do not rinse off. 5. Discard the mask (the mask cannot be reused). Aqua (Water/Eau), Butylene Glycol, Glycerin, Argania Spinosa Kernel Oil, Bambusa Textilis Stem Extract, Citrus Grandis (Grapefruit) Seed Extract, Pinus Palustris Leaf Extract, Polyacrylate-13, Sesamum Indicum (Sesame) Seed Oil, Alcohol, Polyisobutene, Chamomilla Recutita (Matricaria) Flower Extract, Caprylyl Glycol, Phenoxyethanol, Ethylhexylglycerin, Beta-Sitosterol, Parfum (Fragrance), Serenoa Serrulata Fruit Extract, Sodium Hyaluronate, Polysorbate 20, Sorbitan Isostearate, Epilobium Fleischeri Extract, 1,2-Hexanediol, Tocopherol, Achillea Millefolium Extract, Arnica Montana Flower Extract, Artemisia Absinthium Extract, Gentiana Lutea Root Extract, Caesalpinia Sappan Bark Extract, Magnolia Obovata Bark Extract, Terminalia Chebula Fruit Extract, Citric Acid, Palmitoyl Tripeptide-5, Disodium EDTA, Potassium Sorbate, Limonene, Linalool.